Why Choose Saint Rose for a Master's of Education Degree in Literacy? 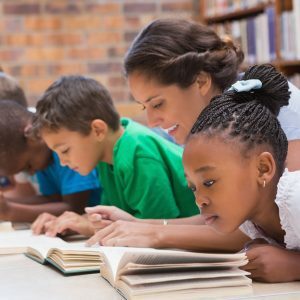 A Saint Rose master’s degree in literacy prepares educators to teach young people the reading and writing skills they need to excel in school, life and work. Candidates gain practical experience in local schools and in a refugee center close to campus. 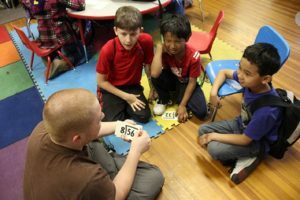 They learn to support both local and immigrant populations in ways that are interactive and engaging. The College of Saint Rose strives to foster creativity, critical thinking and caring citizenship. These attributes are the core of effective literacy practice. Our program seeks to prepare literacy professionals who have a solid knowledge base and impeccable ethical qualities to make high level professional decisions in working with students with diverse needs. To accomplish this, our course work provides both literacy theory and guided teaching experiences in various educational settings. We challenge our candidates to be competent, compassionate and reflective teachers who are committed to being strong advocates for their students. Saint Rose offers two Master’s Degrees and two Certificates of Advanced Study in Literacy. Proof of initial certification is required for entry to all programs. Program completer’s have a 100% pass rate on the NYS Content Specialty Examination in Literacy. MSED in Literacy: Birth-Grade 6 — This program is for students with a bachelor’s degree and certification in Elementary Education (Early Childhood Education or Childhood Education). View Program Planning Sheet. MSED in Literacy: Grades 5-12 — This program is for students with a bachelor’s degree and certification in Secondary Education (Middle Childhood Education or Adolescent Education). View Program Planning Sheet. Certificate of Advanced Study in Literacy: Birth – Grade 6 — This program is for students with a master’s degree and certification in Elementary Education (Early Childhood Education or Childhood Education). View Program Planning Sheet. Certificate of Advanced Study in Literacy: Grades 5 – 12 — This program is for students with a master’s degree and certification in Secondary Education (Middle Childhood Education or Adolescent Education). View Program Planning Sheet. Gainful Employment: Public and non-profit institutions that participate in federal financial aid programs are required to report certain information about their non-degree educational programs that lead to gainful employment in a recognized occupation. Click here for more information on Gainful Employment. 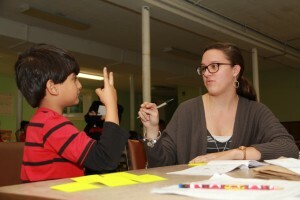 Saint Rose literacy students do more than fine-tune their classroom skills. They help hundreds of refugees from all over the world learn to read English. Pedagogy: Standard 2 Curriculum and Instruction – Candidates use instructional approaches, materials, and an integrated, comprehensive, balanced curriculum to support student learning in reading and writing. Pedagogy: Standard 3 Assessment and Evaluation – Candidates use a variety of assessment tools and practices to plan and evaluate effective reading and writing instruction. Environment: Standard 4 Diversity – Candidates create and engaged their students in literacy practices that develop awareness, understanding, respect and a valuing of differences in our society. Environment: Standard 5 Literate Environment – Candidates create a literate environment that fosters reading and writing by integrating foundational knowledge, instructional practices, approaches and methods, curriculum materials, and the appropriate use of assessments. Professionalism: Standard 6 Professional Learning and Leadership – Candidates recognize the importance of, demonstrate, and facilitate professional learning and leadership as a career-long effort and responsibility. In guiding her Special Education classes, Gina credits her confidence and skill to her time at Saint Rose. 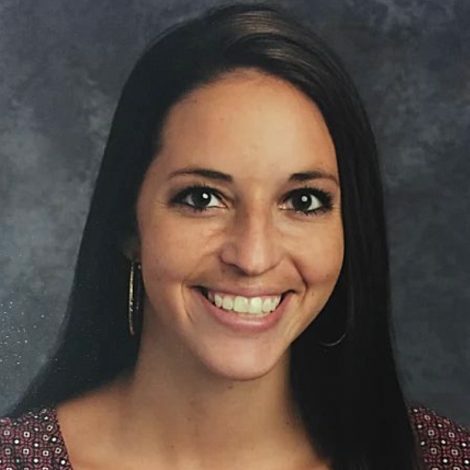 Gaining an expertise in literacy assessments and research-based remediation strategies—along with the real-world experience of applying them—gave her the foundation she needed to find a full-time, and fulfilling, career.